CORPUS CHRISTI - The Corpus Christi Hooks announced CITGO as the naming rights partner for the newly renovated Cotton Club today. Upgrades made during the offseason include a new entrance, added space, panoramic windows, and a modern luxury look. The reimagined space gained nearly 1,100 square feet from last season. Furthermore, the windows on the south side of the club offer sweeping views of the downtown skyline and waterfront. "It's a special event space and it's more than a baseball amenity," Hooks General Manager Wes Weigle said. "It will allow fans, sponsors, parties, and others to utilize the space with an exceptional level enjoyment and comfort." The relationship between the Hooks and CITGO has continued to grow from the team's inception in 2005. "CITGO has been wonderful partners since the Hooks arrived in Corpus Christi. We're extremely excited to have CITGO as our naming rights sponsor for the Cotton Club," said Hooks President Ken Schrom. "We look forward to continuing to work with our great friends here at the ballpark." "CITGO has supported the Corpus Christi Hooks since day one. We recognize the importance of this organization not only in terms of its economic impact on Corpus Christi, but also its significance to improving the overall quality of life in our city by offering a unique, family-friendly experience," said Larry Elizondo, CITGO General Manager Community Relations, CSR and Legislative Affairs. The Cotton Club can be used beyond just in-game entertainment, as the space allows for corporate and local events, family outings, and more. "Adding the CITGO name to the Cotton Club, reaffirms our mission of 'Fueling Good' by celebrating our city and ensuring that local families have a place to create long-lasting memories," Elizondo added. 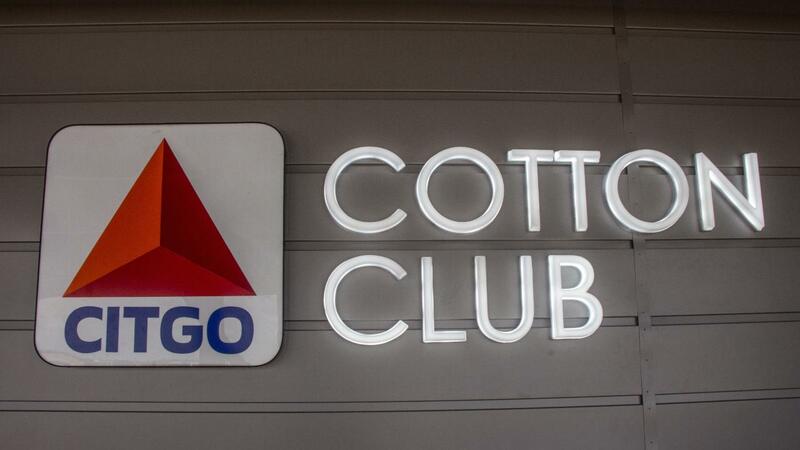 "And we truly hope many new memories will be made in the CITGO Cotton Club." Fans can see the CITGO Cotton Club for the first time on Saturday, March 30th at 6:15 P.M. as part of Astros Futures Weekend. The Hooks will host the Round Rock Express, who is back in the Houston organization as the club's Triple-A affiliate. The Texas League regular season opens on Thursday, April 4th at 6:15 P.M. as the Hooks take on the Amarillo Sod Poodles at Whataburger Field.